You’ve just been diagnosed with a condition requiring surgery. Until very recently your options included traditional surgery with a large open incision or laparoscopy. Which uses small incisions but is typically limited to very simple procedures. Thanks to a breakthrough surgical technology, there is a new category of minimally invasive surgery for which you may be a candidate. It is an effective, minimally invasive alternative to both open surgery and laparoscopy. Through the use of the da Vinci® Surgical System, surgeons are now able to offer a minimally invasive option for complex surgical procedures. Imagine major surgery performed through the smallest of incisions. Imagine having the benefits of a definitive treatment but with the potential for significantly less pain, a shorter hospital stay, faster return to normal daily activities – as well as the potential for better clinical outcomes. With the da Vinci Surgical System, surgeons and hospitals are re-writing accepted standards for surgical care. da Vinci is changing the experience of surgery. Learn more about the urologic, gynecologic, cardiothoracic and general surgery procedures performed today with the da Vinci Surgical System. With da Vinci, both patient and physician are realizing these unprecedented benefits. 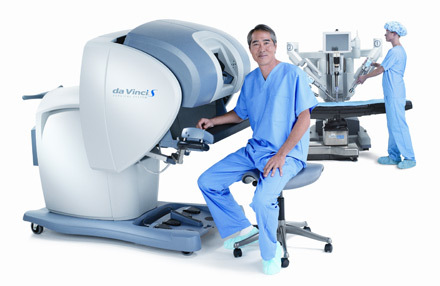 It is important to know that surgery with da Vinci does not place a robot at the controls; your surgeon is controlling every aspect of the surgery with the assistance of the da Vinci robotic platform. Learn more about the minimally invasive surgical applications that are today enabled by da Vinci in urology, gynecology, cardiothoracic and general surgery. da Vinci is changing the experience of surgery…for the surgeon… the hospital…and most importantly… for the patient. Pentru a va oferi servicii mai bune, utilizam cookies. 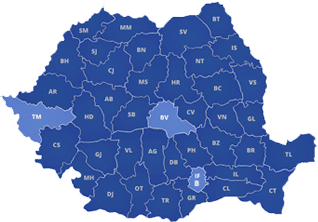 Continuand sa utilizati site-ul, acceptati si sunteti de acord cu Termenii, conditiile si Politica de confidentialitate.